Hardwood floors have become very popular for their simple elegance and beauty, but there are some definite pros and cons to having them in your own home. You need to take these pros and cons into consideration if you’re considering a wood floor in your own home. Real wood floors are known for their natural beauty, especially when you consider all the different types of wood that can be used for them. They also tend to raise the value of homes, so they might be a good investment if you’re considering refinancing or selling your home in the near future. On top of that, wood floors are very easy to keep clean. There is no need to vacuum a wooden floor, and most of the time you can get away with quickly sweeping or mopping up messes. Finally, hardwood floors tend to be very versatile from a decor standpoint. They go with just about anything, so you don’t have to worry about pulling up your floor if you want to give your living room a dramatic new look. 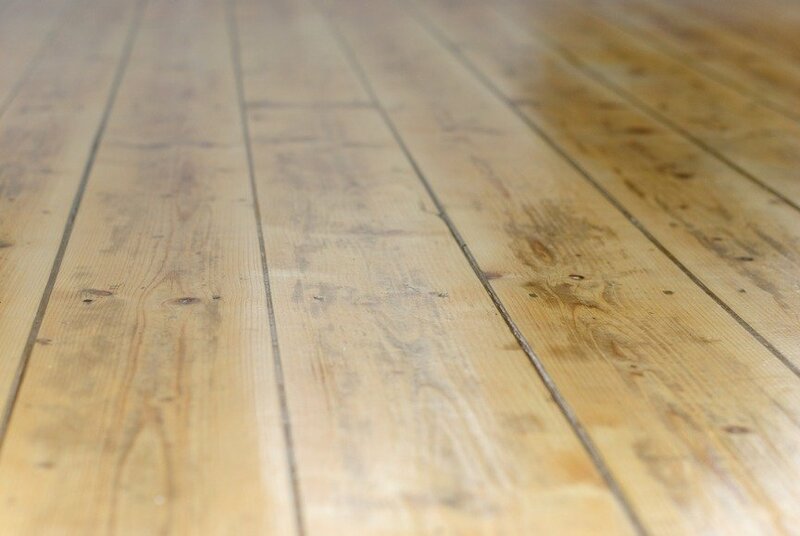 For all the advantages of wood floors, there are also some distinct disadvantages. The biggest of these is cost. Wood floors are expensive to install, with some exotic types of wood costing as much as $12 per square foot. Wood floors may also need to be refinished periodically, especially if they’re located in a high-traffic area of your home. This is especially true if you opt for a softer wood that can scratch or be chipped easily. Finally, a wood floor isn’t ideal if you want a quieter home. On top of dealing with footsteps that can be heard throughout your house, you won’t have the sound dampening properties that a good carpeted floor can provide. This can be mitigated with a well-placed rug, but it is still something that you need to consider if you want to keep your home relatively quiet. There are obviously some great advantages to having a wood floor in your home, but some people may be turned off by the disadvantages. If you love the look of a real wood floor but are apprehensive about the issues that sometimes come with them, you can always go with a wood laminate or a tile floor instead. They won’t have the same kind of elegance as a real wood floor, but they are viable options. For more information about wood floors or any other flooring option, feel free to contact Kowalske Kitchen & Bath today.